As per Article 320 of the Constitution, the examinations for recruitment to all posts and services of the Central Government are required to be conducted by the UPSC. The Estimates Committee of Parliament in its 47th Report (1967-68) recommended setting up of a Service Selection Commission for taking over and conducting examinations for recruitment to lower categories of posts from UPSC. Pursuant to this, and as an interim measure, an Examination Wing was added to the Institute of Secretariat Training and Management of Government of India. (A) The Administrative Reforms Commission (ARC), in their Report on Personnel Administration, drew attention to the fact that the bulk of the staff of the Government at the Centre and in the States belonged to Class III and Class IV categories. Referring to the identical nature of qualifications stipulated for entry into such posts in various offices, the ARC advocated pooling of the requirements of the non-technical posts by different Departments and selection of personnel either by joint recruitment or through a Recruitment Board. After a careful consideration of this recommendation, the Government of India decided to constitute the Subordinate Services Commission vide Resolution No. 46/1/(B)/74-Estt. `B', dated the 4th November, 1975 (Appendix-A) of Department of Personnel and Administrative Reforms. 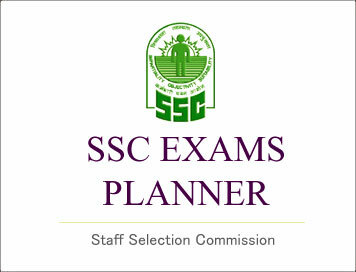 (B) The Subordinate Services Commission was subsequently re-designated as Staff Selection Commission (SSC) on 26th September, 1977 to make recruitment to Class III (now Group ‘C’) non-technical posts in the various Ministries/Departments of the Government of India and their subordinate / attached offices. The functions of the Staff Selection Commission have been enlarged from time to time. From May, 1999, the Commission was entrusted recruitment to all Group ‘B’ posts (non-gazetted) in pay scales the maximum of which was less than Rs.9300-34800 (Grade Pay Rs.4600) earlier done by the Union Public Service Commission. From November 2003, the Central Government further authorized the Commission to make recruitment upto all Group ‘B’ non-gazetted posts carrying scale of pay of Rs. 9300-34800 (Grade Pay Rs.4600). (a) (i) To make recruitment to Group ‘B’ (non-gazetted) posts and Group ‘C’ (non-technical) posts under Government of India and their Attached and Subordinate Offices, except those posts which are specifically exempt from the purview of Staff Selection Commission in Pay Band-2 and Pay Band-1 carrying Grade Pay of Rs.4800/- through conduct of competitive examinations. (ii) To make recruitment to such posts under Government of India by selection through interviews, in Pay Band-2 and Pay Band-1 carrying Grade Pay upto Rs.4800/- which may, at the discretion of the Commission, be preceded by short listing or skill test. (iv) To conduct periodical skill tests in English/Hindi and such other skill tests as may be assigned by the Government from time to time. (v) To perform such other functions as may be entrusted to it by the Central Government from time to time. (b) To conduct examinations and/or interviews, whenever required, for recruitment to the posts within its purview. Distribution of sanctioned posts amongst Regional/Sub-Regional offices is 39 in Central Region, 43 in Eastern Region, 24 in Karnataka and Kerala Region, 43 in Northern Region, 24 in North Eastern Region, 37 in Southern Region, 36 in Western Region, 19 in Madhya Pradesh Region and 19 in North Western Sub-Region. (A) The Staff Selection Commission has a regional network of its own. This is a unique feature aimed at providing effective link between the Commission, State Governments and Central Government Offices located in the States. The regional network has enabled the Commission to have effective control over the conduct of examination. The Regional Offices also provide a local contact point to the candidates. (B) The Staff Selection Commission has nine Regional / Sub-Regional Offices in different parts of the country. These Regional / Sub-Regional Offices are primarily responsible for the smooth and efficient conduct of the examinations, skill tests and interviews. Various activities involved in conduct of examinations, like receipt of applications from the candidates, Electronic Data processing of applications, issue of Admit Cards (ACs) to the candidates, booking of examination venues at various centres within their jurisdiction in consultation with the District Authorities, sending non-confidential examination material to the Centre Supervisors and appointment of Invigilators and Inspecting Officers at various examination centres are done by the Regional Offices. They are also associated with the conduct of Physical Endurance / Physical Efficiency Test (PET) / Medical Examination, wherever required. After declaration of the result by the Headquarters, the Regional Offices are required to send the dossiers of the candidates to the User Departments. In order to reduce the time taken between declaration of results and candidates physically joining their designated Ministries/Departments, the Commission introduced system of online verification of data at the time of skill tests/interviews. This has resulted in significant reduction in time taken and has been very well received by the candidates and the User Departments. Policy issues and operational problems are referred to the Commission by the Regional / Sub- Regional Offices. Prompt, smooth and continuous communication between Regional / Sub-Regional Offices and Headquarters has been ensured to facilitate timely resolution of the problems and issues. Budgetary support for the Commission’s functioning is given by the Government of India from the Annual Budget through the Ministry of Personnel, Public Grievances and Pensions, Department of Personnel and Training. In respect of examinations conducted by the Commission as an agency function which are not in its purview, the same is borne by the concerned indenting Ministry/Department. The Commission, in consultation with the Government, determines the fee structure. The examination fee for various examinations conducted by the Commission goes directly to the Consolidated Fund of India. Candidates belonging to Scheduled Caste (SC), Scheduled Tribes (ST), Physically Handicapped (PH), Ex-Servicemen (Ex-S) and all women candidates are exempted from payment of the fee. The mode of collection of fee is through credit and debit cards of all Banks, online payment through SBI and its Associate Banks, bank challans of SBI and Central Recruitment Fee Stamps (CRFs) for the benefit of rural candidates. The mode of collection of fee through Central Recruitment Fee Stamps (CRFs) was discontinued w.e.f. 01.01.2016.